With Donald Trump holding a pre-inauguration concert in Washington D.C. tonight that is sparsely attended by celebrities (and maybe in general), a bunch of those famous people that Trump supposedly doesn’t care about have popped up in New York City outside of the Trump International Hotel for an anti-Trump rally. 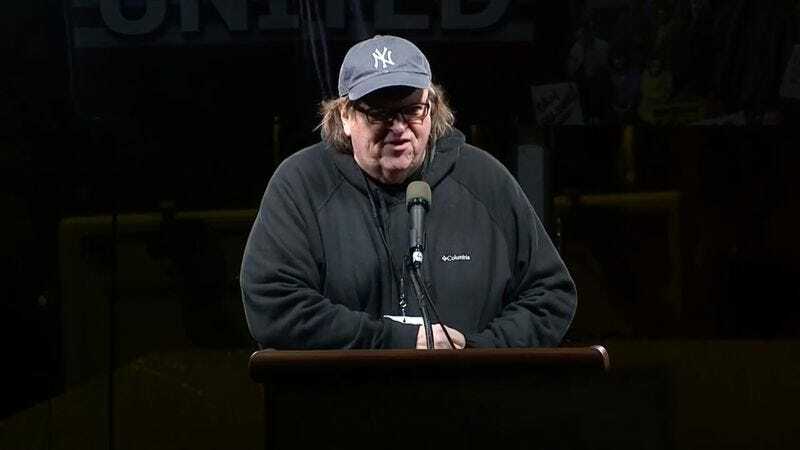 According to MoveOn.org, the attendees include Sally Field, Mark Ruffalo, Rosie Perez, Alec Baldwin, Marisa Tomei, Julianne Moore, Cynthia Nixon, Natalie Merchant, Michael Moore, and Shailene Woodley. Robert De Niro was doing a slick, stand-up routine of sorts a few minutes ago, and New York Mayor Bill de Blasio just finished making a passionate plea for upholding the Affordable Care Act. This is one of many anti-Trump events happening this week, with a number of pro-women’s rights marches scheduled across the country on Saturday.